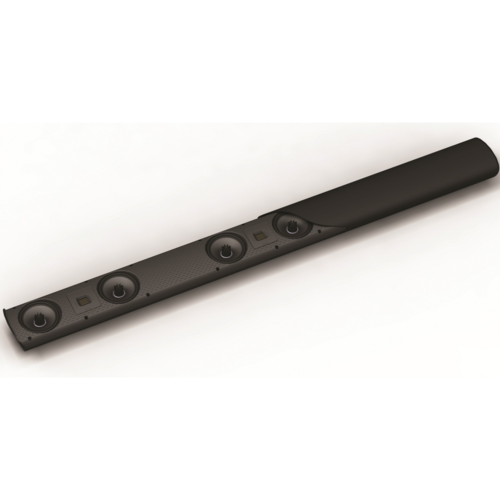 The SuperSat 50 is a slim, 686mm” long, 63mm deep speaker which is available in both a vertical version (SuperSat 50) and horizontal, centre-channel-optimised version (SuperSat 50C). 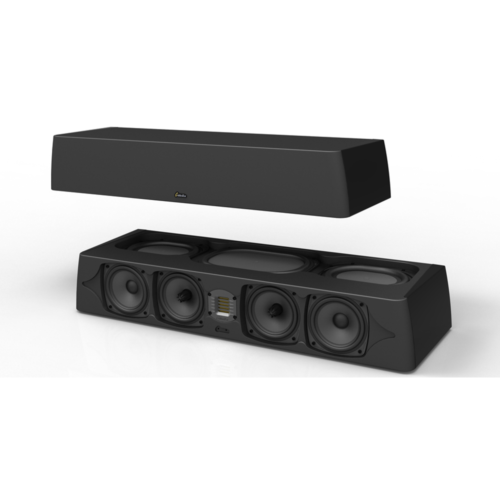 Its smooth, detailed, powerful and dynamic sonic capabilities make it the ideal centre channel for a Triton Two based theatre system, and a perfect complement for a wall or shelf-mounted flat screen. Its cabinet is constructed from piano –black-finished aluminium and houses two GoldenEar 4.5″ cast-basket bass/midrange drivers with MVPP, configured in a D’Appolito array, surrounding the High-Velocity Folded Ribbon tweeter. Two 4″ x 7″ quadratic planar low-frequency radiators complete the driver configuration. Wall mounting is accomplished using the threaded inserts or keyhole mounts on the rear, Table top mounting is via the optional smoked-glass shelf stand. 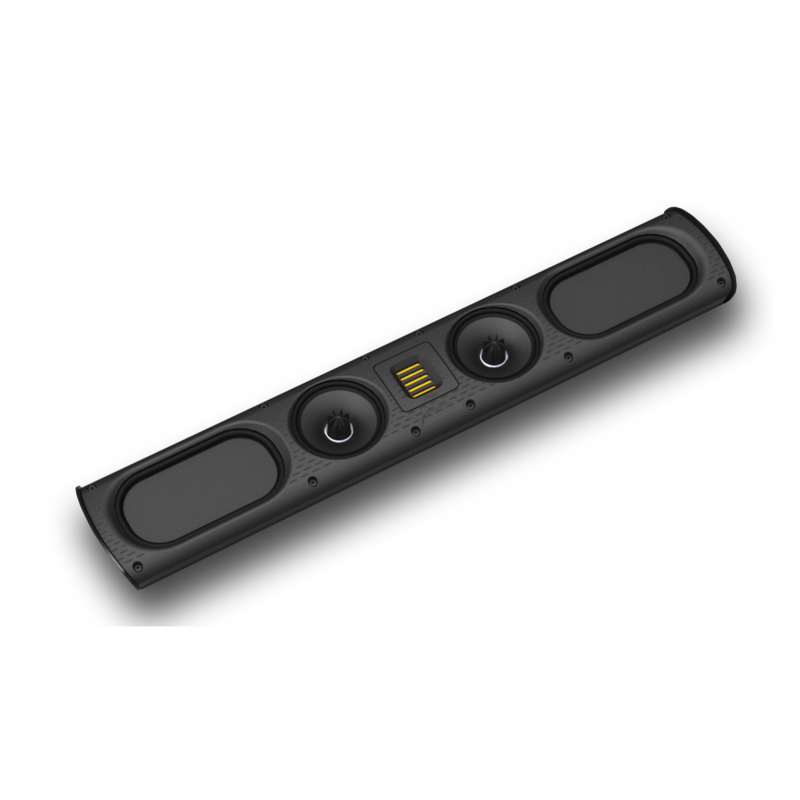 An adjustable foot allows multiple angles when shelf mounting the horizontal centre-channel version. Driver Complement: two 4″ x 7″ quadratic planar low-frequency radiators; two 41/2″ high-definition cast-basket MVPP mid/bass drivers,; single HFVR High-Velocity Folded Ribbon Tweeter. Frequency Response: 60 Hz – 35 kHz. Nominal Impedance: Compatible with 8 ohms. Rec. Amp. 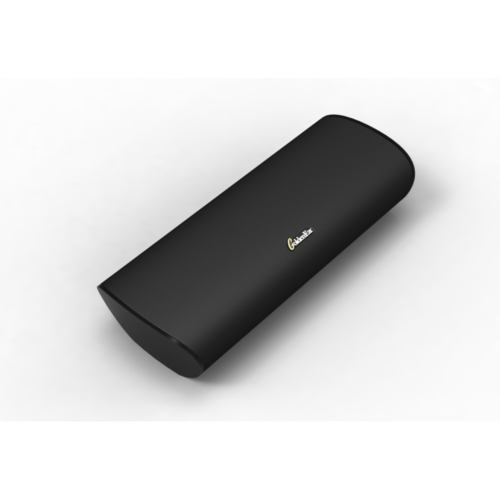 : 20 – 200 watt/channel.